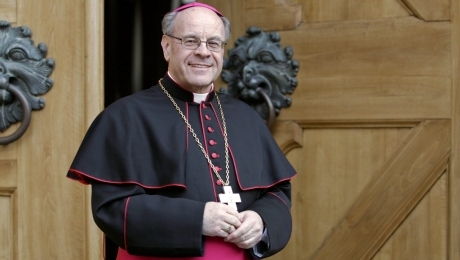 Vitus Huonder, a Catholic bishop in Switzerland, delivered a 50-minute sermon on the evils of homosexuality on July 31st. Using a bible verse to imply that Catholics should kill gays, he’s being charged with “inciting people to crimes,” which under Swiss law is considered a federal offense. Pink Cross, the Swiss Gay Federation, filed a criminal complaint against Huonder, claiming his speech could be interpreted to suggest Catholics should actively harm homosexuals. In a statement, Huonder claims he’s been “misunderstood” and that he never wanted to sound “contemptuous” towards gay people. “That wasn’t my intention,” he insists. If convicted, he faces three years in prison.